RICHMOND, VA (June 11, 2015)Â â€“ After 10 months of grueling competition, where the countryâ€™s best female youth soccer teams faced each other in conference and national event games all over the United States, the qualifiers for the 2015 ECNL Post-Season have been determined.Â On June 11, in a videotaped draw, each of these qualifying teams will learn their opponents for the 2015 ECNL Play-Offs in Seattle, WA. 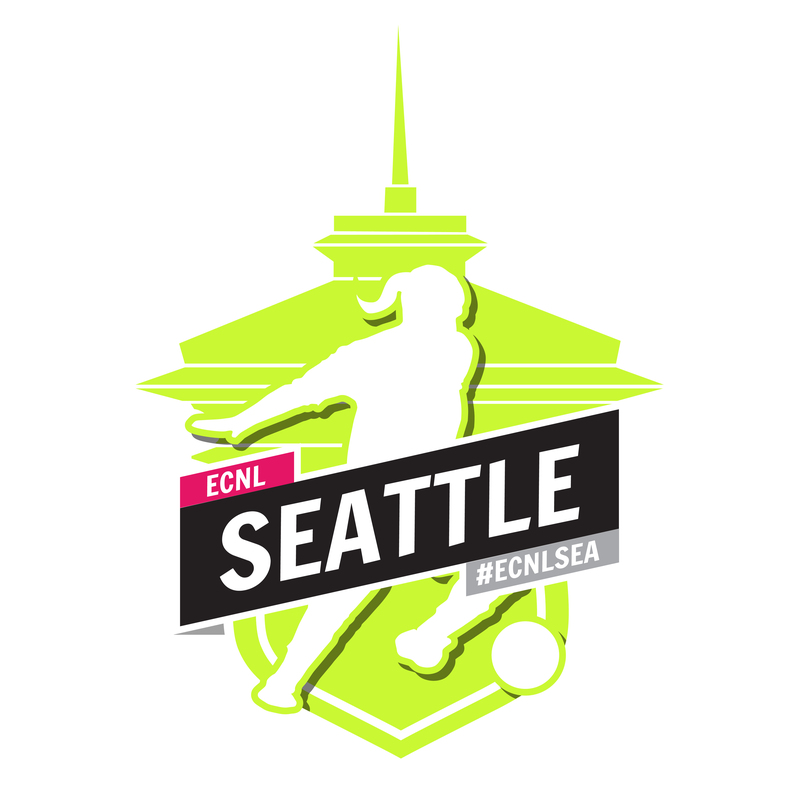 Every team in the ECNL Play-Offs in Seattle will be competing for a championship or the chance to advance to the ECNL Finals depending on their age group.Â Â At the U14 and U18 age groups, the ECNL Champions League National Champions will be crowned in Seattle.Â At the U15, U16, and U17 age groups, qualifying teams will be competing in three divisions,Â battling to advance to the ECNL Finals as part of either theÂ ECNL Champions League, ECNL North American Cup, or the ECNL Showcase Cup. The U15-U17Â ECNL Champions LeagueÂ consists of the top 32 teams in each age group in the ECNL and is the most competitive female youth club soccer competition in the world.Â 24 Conference champions or top finishers, and 8 wildcards make up the field in each age group ofÂ theÂ ECNL Champions League Play-Offs.Â Over the course of 3 group games, 8 teams in each age group will qualify to advance to the ECNL Champions League Finals in Richmond, VA.Â In the ECNL Champions League, the qualifying teams are seeded based on their results over the entire season.Â The top 8 teams in the ECNL Champions League will be seeded as the Top Overall Seeds.Â Â The Top Overall seeds are made up of seven (7) conference champions who are seeded 1-7 based on points (PPG) from conference games only,Â withÂ the final seeded team being selected from the automatic qualifiers (conference or divisional champions) with the highest points (PPG)Â from conference games only. Remaining teams will be placed into different seeding pots, from which they will be drawn and placed into play-off groups in each competition.Â Each play-off group will include four (4) teams playing a 3-game round robin to determine the team that will advance to the ECNL Finals. The U15-U17 ECNL North American CupÂ consists of the additional seven (7) teams that were in contention for the ECNL Champions League wildcard berths, but did not finish high enough in the wildcard standings to qualify for the ECNL Champions League, automatically qualify for the ECNL North American Cup.Â The remaining teams that did not qualify for ECNL Champions League will be ranked based on points (PPG) from all games played, including conference and national event games.Â The top nine (9) teams in this ranking will qualify for the ECNL North American Cup.Â The 16 teams in each age group will play a 4-game knockout cup competition, including placement consolation games, to crown the ECNL North American Cup Champion.Â All games will be played in Seattle.Â In the ECNL North American Cup, the qualifying teams are seeded based on their results over the entire season.Â The top 8 teams will be placed in Pod 1 and seeded into pre-determined bracket slotsÂ based on points (PPG) from all games played. The additional teams will be placed in Pod 2 and will be randomly drawn into the remaining bracket slots. The U15-U17 ECNL Showcase CupÂ consists of the next 16 teams that did not qualify for the ECNL Champions League nor the ECNL North American Cup, teams ranked 49-64, in the ECNL based on PPG from all games played, including conference and national event games.Â These teams will play in a guaranteed 3-game knockout competition with a fourth game to crown the champion in Seattle.Â In the ECNL Showcase Cup, the qualifying teams are seeded based on their results over the entire season.Â The top 8 teams will be placed in Pod 1, with the additional teams being placed in Pod 2.Â Teams from Pod 1 will be placed by seed into pre-determined bracket slots; teams from Pod 2 will be randomly drawn into the remaining bracket slots. TheÂ U14 and U18 ECNL National FinalsÂ consist of the top 16 teams in each age group in the ECNL and is the most competitive female youth club soccer competition in the world.Â The competition includes 3 group games, semi-finals and final, where the National Champion will be crowned in each age group.Â The top four (4) Conference Champions based on points (PPG) from all games played will be seeded 1-4 as the Top Overall Seeds.Â The next three Conference Champions based on points from all games played and the division champion with the highest points (PPG) from all games played will be placed in seeding pot 2.Â Remaining teams will be placed into different seeding pots based on points (PPG) from all games played,Â from which they will be drawn and placed into play-off groups in each competition.Â Each group will include four (4) teams playing a 3-game round robin to determine the team that will advance to the semi-finals. For details on setup and structure of each division,Â Click Here. The ECNL Play-Off Draw for each age group and competition will be released via delayed broadcast on Thursday, June 11, 2015 at 6:00 pm ET on the ECNL YouTube channel (http://www.youtube.com/theECNL). To view the draw pods,Â Click Here. The ECNL Play-Offs is the most exciting week of youth soccer in the year, with the countryâ€™s best on display for everyone to see.Â Watch the ECNL Play-Off Draw to see the unbelievable match-ups that will take place, and to get a glimpse of the drama that will unfold as the ECNL Champions are crowned. The game schedule for the U15-U17 Playoffs and the U14 and U18 National Finals will be released by June 18, 2015.